TruePublica Editor. The political fallout from Theresa May’s disastrous leadership of her party, cabinet and parliament is one thing the country has been distracted by, part of the consequence is what we don’t hear that really should be newsworthy. In a desperate attempt to win people over Theresa May went as far as to promise the NHS billions in funding that was in reality withheld anyway. Then, last November at the Conservative party conference in another cynical attempt to win at least some support, she stated that austerity would come to an end. This was simply another hypocritical attempt to bribe the nation, only this time it was stained with little more than pure mendacity. Brexit is great if bad news needs to be buried. Here is just one of those stories that will fire up your anger. 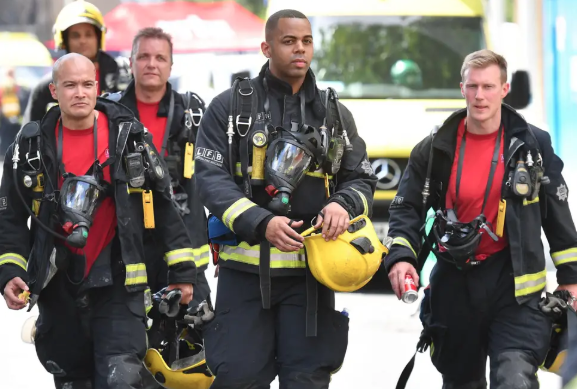 The Westminster government will cut fire and rescue service funding in England by 15% over the next year, analysis from the Fire Brigades Union (FBU) has found, despite claiming that “austerity is over”. Firefighters warn that the government is refusing to learn the lessons of the Grenfell Tower fire, nearly two years on from the tragedy. The cuts are packaged up in the annual Local Government Finance Settlement, receiving virtually no scrutiny from Parliament, prompting accusations that the government are trying to “sneak through” further austerity measures unnoticed. The latest settlement was announced by James Brokenshire, secretary of state for Housing, Communities and Local Government, on 29 January. There is growing pressure on fire and rescue services across the UK. Last year saw a 3% increase in fires and a 1% increase in overall incidents attended by firefighters. Firefighters rescued over 45,000 people last year, 4% more than the year before. That includes 42,000 rescues from non-fire incidents, including flooding, hazardous chemical spillages, road traffic collisions, and lift rescues. There has been a 27% increase in fatalities to 334, including the 72 lives lost at Grenfell Tower. As we approach the second anniversary of Grenfell, MPs will debate funding for emergency services in Westminster Hall. They must send a clear message to the Tory government: cuts to the fire and rescue service have gone too far. “It is appalling that the government is trying to sneak through cuts to fire and rescue services with virtually no scrutiny. They are ramping up their austerity measures despite claiming that austerity is over.